We provide healthy culinary and gardening programming for schools, organizations, churches, hospitals, clinics, and much more. We have many already established programs that you can choose from or we can create a custom program specifically for your needs. 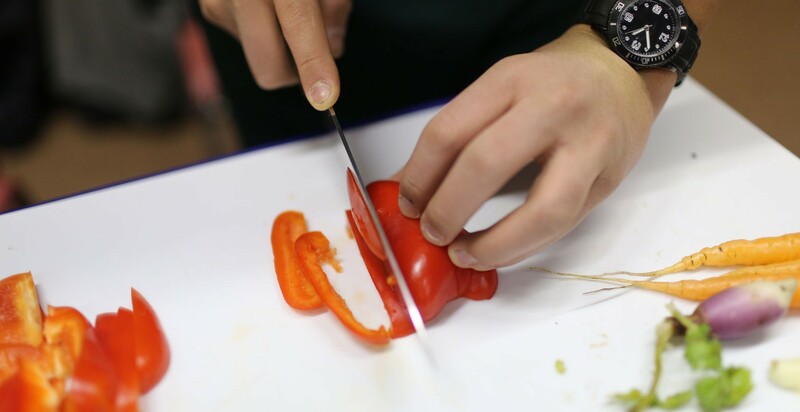 Our classes are all hands-on classes, with small groups of students having their own portable cooking station. We hope you will join us as we teach and remind our communities about the skills of cooking at home and knowing where your food comes from. 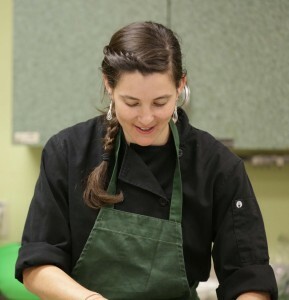 After earning a BS in graphic design from the University of Cincinnati, working for various types of companies, living and teaching on organic farms in Belize and California, and working with coffee farmers in Guatemala, developed and implementing culinary/garden programming for all ages at Gorman Heritage Farm, Jamie decided to continue her passion for agriculture, food and teaching by starting her own company FarmChef. In November of 2012, Jamie was selected to be one of the US delegates to Slow Food’s International Congress and Terra Madre – Salone del Gusto in Italy representing this region’s food heritage, and was the co-chair of Slow Food Cincinnati for many years. Her desire is to live sustainably, to educate others, and to harness people’s passions in creating a socially and environmentally sustainable lifestyle for all people. She lives for the next adventure, and delights in the small intricacies of life and the natural world.